Following the concluding part of our Studio Ghibli exploration, we thought we’d stay within the realm of animation and look at two adaptations of J.R.R. Tolkien’s The Lord of the Rings epic, which we trust needs little introduction. 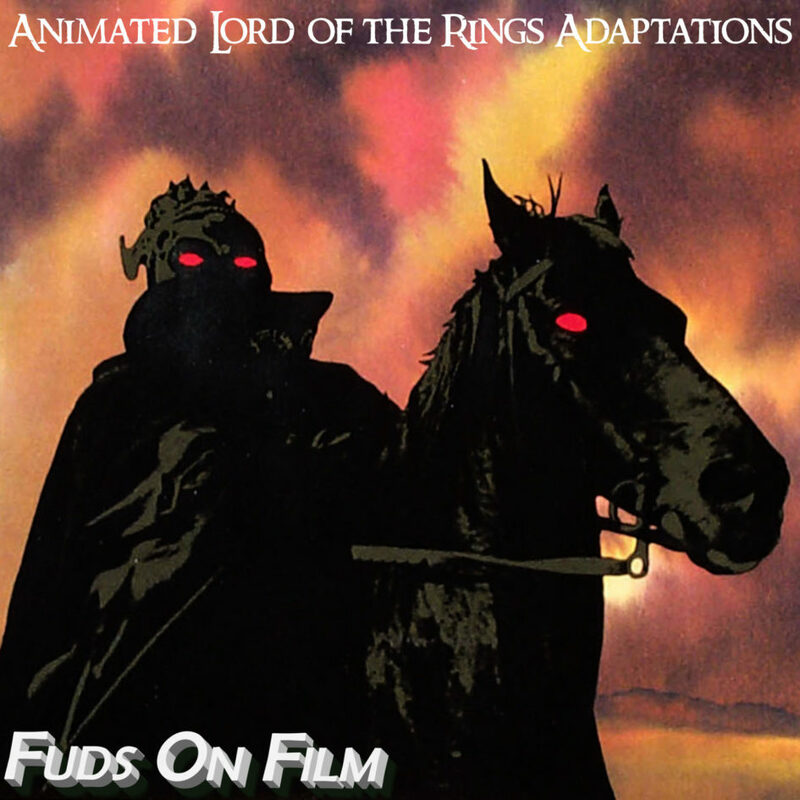 While Ralph Bakshi’s take on Lord of the Rings doesn’t quite get the recognition it deserves, we had at least heard of it, unlike Rankin-Bass’ Return of the King. Join us as we find out if they’re worthy of being mentioned in the same breath as Peter Jackson’s adaptations. It took until 2001 for a film to truly do justice to JRR Tolkien’s fantasy epic The Lord of the Rings, and that required over $300 million, incredibly dedicated writers and producers, nearly a decade of time from pre-production to the final extended-cut release and, crucially, vast advancements in computer-aided special effects and composition tools. Before that, though, probably the most notable adaptation was the UK/US/Spain animated version created by animator and director Ralph Bakshi, who had created waves, and criticism, with his adult-oriented animations Fritz the Cat, Heavy Traffic and the well-intentioned but… of questionable taste? Coonskin. But could an animated feature done a quarter of a century earlier, in a fraction of that time and with a budget of only $8 million give Peter Jackson’s epic a run for its money? Well, no. Obviously, no. But we’ll get to that. A large part of the complexity and cost of the production, particularly things like battle scenes, were dealt with by cheating. Oh, they call it rotoscoping, but filming actors fighting and then simply tracing over them just isn’t cricket, old bean. It’s cheating, no matter what you call it. But in all seriousness, rotoscoping those portions was a sensible route (and, obviously, not without skill): large scale battle scenes of the type necessary for a story like this would most probably have been completely prohibitive if undertaken as standard animation, and while it lends such scenes a very distinctive (and, in the case of, for example, the Uruk-Hai/Helm’s Deep sequences, a spectacularly ugly) aesthetic, it does put it very much at odds with the portions of the film animated in a more traditional way, and the two never really mesh. It omits several notable sequences (for example, the visit to Tom Bombadil’s house, the similar omission of which in Peter Jackson’s adaptation caused… let’s charitably call it consternation and disappointment, though personally I’m fine with it, because I happen to think it’s a sequence which doesn’t belong in the book, never mind the bewildering distraction it would be in a film, but I digress), but still manages to be reasonably faithful to its source, even if it does end about midway through the second part of the three volumes. Even at 133 minutes, however, it does suffer from the trimming down of such a weighty tome, not having had the luxury (though, really, to do the world justice it was a necessity) of taking the time to establish the world and the stakes that Peter Jackson had for his version, so the world never feels as well-established nor as full of history as it ought, and any feeling that it does contain these things almost certainly comes from a familiarity with the source material and not this film itself. With the limitations that Bakshi had to work with he made a pretty decent stab at things, though I have my doubts about how well anyone completely unfamiliar with The Lord of the Rings will be able to comprehend the goings-on. It’s a reasonably compelling film, but I suspect how much enjoyment one can derive from it will depend substantially on how enamoured they are of the animation style, and for me that amount is really “not a lot”, and I particularly dislike the look of the hobbits, rather crucial to the whole enterprise, who look less like an interesting diminutive humanoid race, and more like children. Which is to say they look exactly like cartoon children, apart from Sam who looks like some kind of Disney witch. Much is redeemed, though, by solid work by the cast, particularly John Hurt as Aragorn, Michael Graham-Cox as Boromir and Anthony Daniels as Legolas (as an aside, I applaud Bakshi’s desire to make the elves seem in some way different, but the oddly shaped and orientated eyes kept making me squint uncomfortably). The critical response to Bakshi’s The Lord of the Rings was mixed, but it was commercially successful, so I’m unclear as to exactly why the rest of the film was never produced, and was only finished in spirit by those hacks at Rankin/Bass (of which, more soon). It’s not because Bakshi died (somehow, some when, this idea entered my head, I think as a result of something in the DVD extras for the film trilogy that Bakshi’s work was an influence on), as he’s still alive. Certainly critics at the time seemed to be under the impression that Bakshi was working on the follow-up. The main reason seems to have been that he fell out with United Artists, who released the film as The Lord of the Rings, instead of the crucially much more accurate The Lord of the Rings, Part 1 as Bakshi wanted, which not only pissed off the director but misled and angered movie-goers. Now, I don’t know if you’ve ever noticed this before, but studio executives are arseholes. But that’s not well-known information, so keep it on the down-low, OK? In the end, for all its drawbacks, it’s worth watching once, not least because its distinctive style (or, more aptly, styles, and its horrendous melange of about 7) is probably quite unlike anything else you’ve ever seen, and also there’s fun in trying to spot the (acknowledged) influences it had on the 2001 film trilogy, but I wouldn’t make any strenuous efforts to do so. For its faults Lord of the Rings did a reasonable job of running through the bulk of the narrative up to the battle of Hornburg, or the bulk of the first two books, even if the characterisation suffered. Return of the King struggles to tell even a portion of the book it’s supposed to be adapting, even with leaving characters out entirely. But thankfully, they’ve been cut to focus on that most important character in Tolkien’s firmament, the Minstrel of Gondor. How full of thanks we are. And he’s going to sing for us! I cannot contain my thanks! My thanks are going to overflow and drown us all. It’s framed as Bilbo, Frodo, Sam, Gandalf and Elrond sitting around presumably in Rivendell celebrating an apparently dementia-addled Bilbo’s birthday, reminding him of Sam and Frodo’s troubles in Mordor and how Frodo lost his finger in the struggle with Gollum at the Cracks of Doom, with lip service paid to the events elsewhere. Or at least the events that would be be suitable for musical adaptation, sort of, making this one of the least satisfying narrative adaptations I’ve ever seen. So, yes, we are damned to suffer a million dittys about Frodo and the Ring, and Aragon facing down the Dark Lord’s armies, of which precisely one is not a screeching offence to the ears. Which is bad enough, but the bulk of the story narration is left to Samwise Gamgee, who sounds less like the stoic, rustic voice of courage Tolkien intended and more like a nineteen twenties gangster stereotype. Neeeeeh, we’re gonna destroy the Ring, see? I don’t necessarily blame Roddy McDowell for this – the writing is atrocious -but it’s a laughable performance. I laughed a lot, when I wasn’t swearing. I may have idly wondered in the past as to why tales of historical fictional are littered with Old World accents, even when clearly it’s not set in, say, England or anything. The answer, it turns out, is that it sounds super-weird when it’s full of American accents. I don’t have any sort of logical back up to that statement, but it’s nonetheless unquestionably true – this film sounds super-weird, and the casting probably doesn’t help. McDowell at least I can understand, and there’s some veteran voice talent like Don Messick around, although admittedly, he’s awful in this -The Mouth of Sauron sounding like a less-threatening Skeletor wannabe (admittedly this came well before Masters of the Universe, but don’t get fresh with me, young man). The rest of the cast are now-forgotten stand-up comedians and, of all people, John Houston, who I continually forget took up acting towards the end of his career apparently just for hell of it. Narratively, this is a mess, and the visuals are worse. The character design is just horrible, with orcs looking like spherical cats, and even the humans looking quite odd. Subjective, perhaps, but it’s a very ugly film, almost artless, particularly in today’s company. Tonally it’s much less violent than Lord of the Rings, jarringly so if you watch them back to back. If you’ve watched any of the “making of” documentaries on Peter Jackson’s films, you’ll no doubt remember the care, attention and consideration that they took into what stays in the film, and what must go, for myriad reasons. I’d love to have seen the equivalent meeting on this film, and how many hallucinogens were present. Particularly when they add in nonsense like “hobbits will evolve to become humans in a few generations”, which is mind-bogglingly daft. Acid-induced additions aside, the omissions are more puzzling. To be fair, Gimli and Legolas don’t have the most to do in the source material, but the closure of their relationship arc is thematically important for the whole coming together against a foe thing. What I’m saying is, it would be nice if this film acknowledged their existence, which it does not, because it is terrible. This film is rubbish, and its existence offends me. Not recommended. If you’ve been affected by any of the issues discussed today, please hit us up on Twitter (@fudsonfilm), on Facebook (facebook.com/fudsonfilm), or email us at podcast@fudsonfilm.com. If you want to receive our podcast on a regular basis, please add our feed to your podcasting software of choice, or subscribe on iTunes. If you could see your way clear to leaving a review on iTunes, we’d be eternally grateful, but we won’t blame you if you don’t. We’ll be back with you on the 20th with something more film chat, but until then, take care of yourself, and each other.